Fuel prices today: In comparison to Delhi, fuel rates in bordering states like Uttar Pradesh and Haryana are cheaper. In the national capital, petrol was sold at Rs 82.83 per litre on Tuesday. All petrol and CNG (Compressed Natural Gas) pumps in the national capital will remain closed on October 22 as Delhi Petrol Dealers Association (DPDA) has decided to go on a strike. The strike has been called in protest against the Delhi government's refusal to cut VAT (Value Added Tax) on petrol and diesel, a statement released by DPDA said. Delhi has a higher VAT than neighboring states. In comparison to Delhi, fuel rates in bordering states like Uttar Pradesh and Haryana are cheaper. On October 4, the Central government announced a cut of Rs 2.50 a litre each for petrol and diesel and urged state governments to match the reduction to provide relief from high fuel prices. Maharashtra and Gujarat were among the first states to announce reductions of Rs 2.50 per litre each. Chhattisgarh, Jharkhand, Tripura, Uttar Pradesh, Madhya Pradesh, Himachal Pradesh, Haryana, Assam, Uttarakhand, Goa, Arunachal Pradesh, and Jammu and Kashmir later announced similar moves. However, Delhi government refused to reduce VAT on both petrol and diesel, as reported by news agency Press Trust of India (PTI). 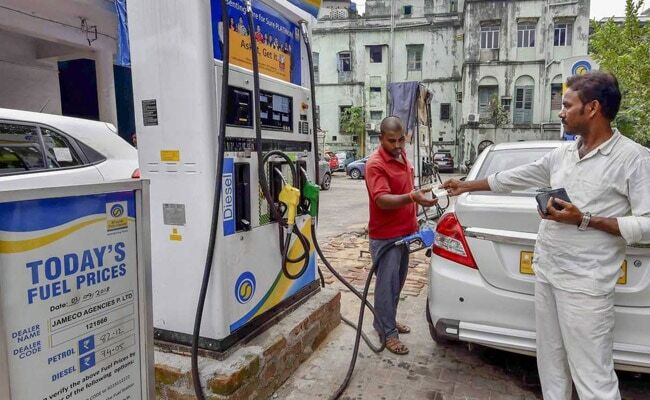 In the national capital, petrol was sold at Rs 82.83 per litre on Tuesday, according to Indian Oil Corporation (IOC), the country's largest fuel retailer. Petrol rates stood at Rs 80.24 per litre, Rs. 81.47 per litre in Uttar Pradesh and Haryana respectively. Diesel prices stood at Rs. 75.69 per litre, Rs.73.67 per litre, Rs 74.49 per litre in Delhi, Uttar Pradesh and Haryana respectively, with effect from 6 am on Tuesday. Meanwhile, a litre of petrol was sold at Rs 88.29 per litre in Mumbai, while the price of diesel was revised to Rs 79.35 per litre on Tuesday. In Chennai, petrol and diesel prices stood at Rs 86.10 and Rs 80.04 per litre respectively. In Kolkata, petrol and diesel prices were at Rs. 84.65 per litre and Rs 77.54 per litre respectively. Currently, oil marketing companies (OMCs) revise domestic fuel prices on a daily basis.